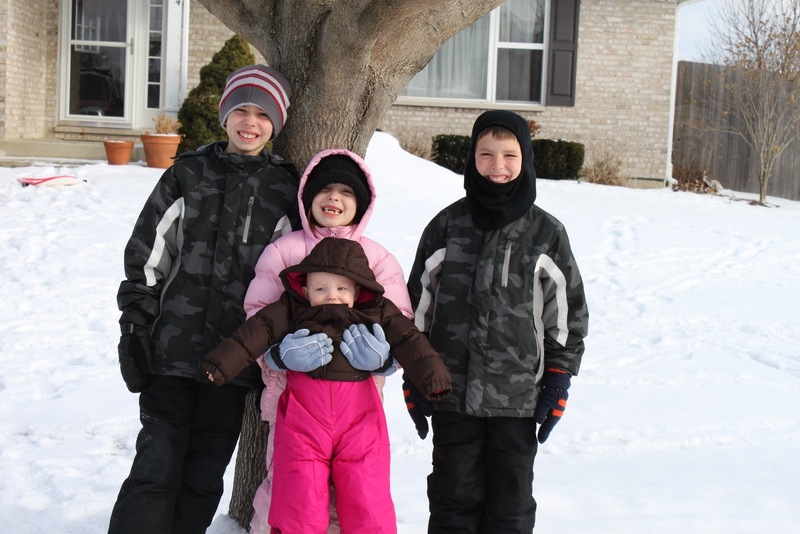 I’m taking one photo a week of the four kids standing in front of the same tree. This was our coldest photo yet! It was 18 degrees at 1:30 p.m. We are expecting a high of 20 today.